Some of us have been in serious accidents in life and have been hurt, but we keep calling the police instead of an ambulance because we would rather find fault than get healed. Consider that for a moment. Could this be you? Is there some situation in life where – if you are honest with yourself – you are more concerned about finding fault than getting healed? Take some time right now to prayerfully reflect on these questions. Now, let’s use that car analogy some more. Imagine your life was a car. How do you treat it? 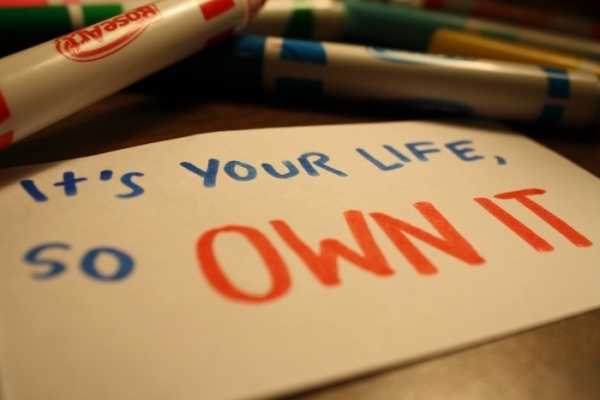 I own it – I take care of it like I own it. I wash it, service it on time, etc. I’m leasing it – I take some care of it, but I’m not in this deal for the long haul. I’m gonna try to trade it in for a new one in a few years. I’m renting it – I’m not too invested in it. I’m paying for someone else to take care of it, so no need for me to. This is just a short-term deal. I’m borrowing it – I don’t really have one of my own, so I just borrow. It’s easier to borrow than take care of my own. I’m stealing it – I’ve really got nothing invested in it. It’s not mine and I’ll just leave it on the side of the road when I’m done with it. Why did you choose that answer? Take some time to consider an explanation. If you don’t think you really own the car (which is really a metaphor for life), then what would you need to do to own it? Whatever your car is, which direction do you want to drive? Why? Consider why you chose that answer. Before you go, spend some time in prayer over your life. Talk to God about your thoughts and reflections on these questions. What might God want you to see within your answers? What might God be saying to you right now about your life?